We can help you get your Data back! Obsolete items, junk can mess things up. Network printer, Smart TV, etc. Don’t want to monitor it yourself? We can do it for you! Clubs and associations, nursing homes, medical practices Religious organisations, etc. 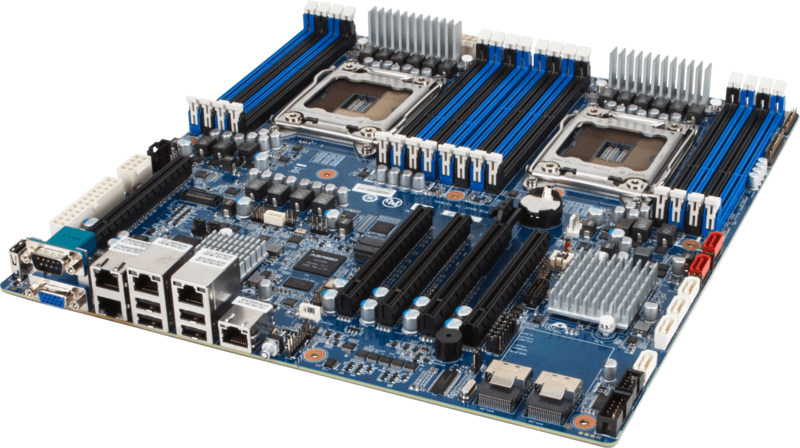 Improve the stability and reliability of your computer. 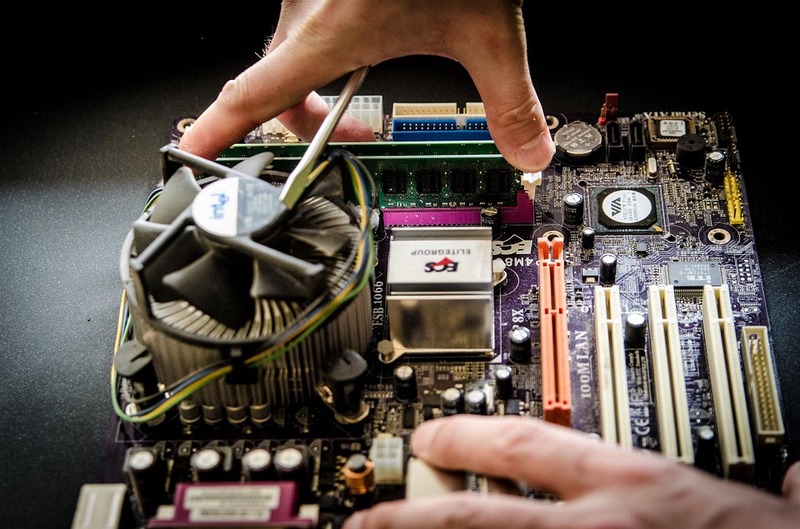 Follow these tips – Computer Maintenance & Support Services technicians. Extend your computer’s life by following these tips which is provided by the Computer Maintenance & support Service technicians. All this computer stuff is way over my head. I just want to be able to turn it on, read my email and print out some recipes, or my payment records. Got my first computer 15 something years ago and from the first day a called The Computer IT Specialist (Rigo C ) to help with the Installation and of course maintenance & repair . the response that I got was always professional, prompt, very knowledgeable and punctual with a positive response to any issue regarding my computer including upgrading and new programs, very realistic price for the service he provides...I will always be using and recommending Rigo as l have for the last 15 years, very trustworthy and if something is not 100% he will start again and again Very honest I will Recommend to anyone with confidence. Anytime I called I got very good response. Rigo, at Computer Maintenance & Support Services, has been solving all of my computer problems for a period of just over ten years now. There were times when I needed my computer upgraded, Rigo took care of that. Another time, my hard disk needed to be replaced. This also was no problem for Rigo. Now, I would not call Rigo a computer geek, but surely he is a Professor of computers. He can just about solve any problem of yours, or mine, involving computers. He is dedicated, and reliable, persistent, and trustworthy. And he is easy to contact, and nearly always available for me, whenever I need his services, or call him up. Rigo will give of his valuable time to you. He listens to your problems. He endeavours to help you in the best ways that he can do so. I received professional advice and guidance when solving our laptop issues. The support received was personally tailored to our circumstances and extremely helpful. Thank you so much. Rigo has looked after my computer needs for approximately 10 years and has provided excellent assistance and advice whenever required, either in person or remotely. I'm sure his unfailing good humour helps combat all those stupid questions us non technical people ask, and if he doesn't immediately know the answer he will research until he finds a solution for you. I have no hesitation in recommending Rigo's services. For many years CMSS have been an excellent source of help in trouble shooting, researching, and keeping my Apple Mac computers running productively and efficiently, no job was to small or to big, no question is too silly or too difficult for CMSS to handle and come up with great outcomes. I recommend CMSS as they are reliable, efficient, courteous, and respectful. I have been a customer of Rigo for many years now. He is a very capable and knowledgeable man. He know the mechanics of a computer as well as its systems & workings. He also knows his way around the internet. He has built me an 'old' computer, so I can play a 1996 game (I didn't realise I'd need my old computer for that, at the time & got rid of it). He has made my current computer better than it ever was. He is very kind, patient and friendly and has gone out of his way to help me. His rates are reasonable too. I think of him as a friend now. I have not hesitation in recommending Rigo to others. I would like to thanks the CMSS owner Mr. Rigo for setting up my printer connection through the laptop. He was humorous and patient. He shows me the technical and software update and help me to setting up my child laptop as well. He is professional manner and would be recommended. His help is very much appreciated. Thanks for your excellent service. Hi All, anyone interested in Computer Maintenance or restoration of your PC, Laptop etc. Rigo is your man. Very lovely guy. I had trouble with my Toshiba Satellite Pro. It's about 7 years old now. I didn't want to part away with it as it's the one of the best in that era. Rigo agreed. So it had 3 USB ports and they needed working on. There was problems with viruses etc. So Rigo restored to brand new and increased memory, installed anti virus software costing me far less than a Laptop on the market to that quality. Since then Rigo as done all my maintenance and keeps the anti spyware upto date on on my laptop and he taps into my laptop remotely. It's like he is a ghost. Since I'm pensioner he let's me pay it off over a 2 fortnightly payments. I highly recommend Rigo to my computer maintenance in a heartbeat. Very quick, kind and understandable. I have referred him to a few people that needed computer maintenance. Good job Rigo see you next year for that maintenance. Very efficient service and pleasant to deal with. Good communicator and trustworthy. Rigo comes to my house and if he can't fix the computer there, he'll take it away and return it when it's fixed. Highly recommended. Service is excellent. Rigo is prompt and responsive. He is professional and his work is of a very high standard. He has always solved any of my IT problems and will work with me to find a fix that suits my needs. Would highly recommend his work and services. As small business owners working from our office and leveraging the Internet, PC performance is of the utmost in criticality. 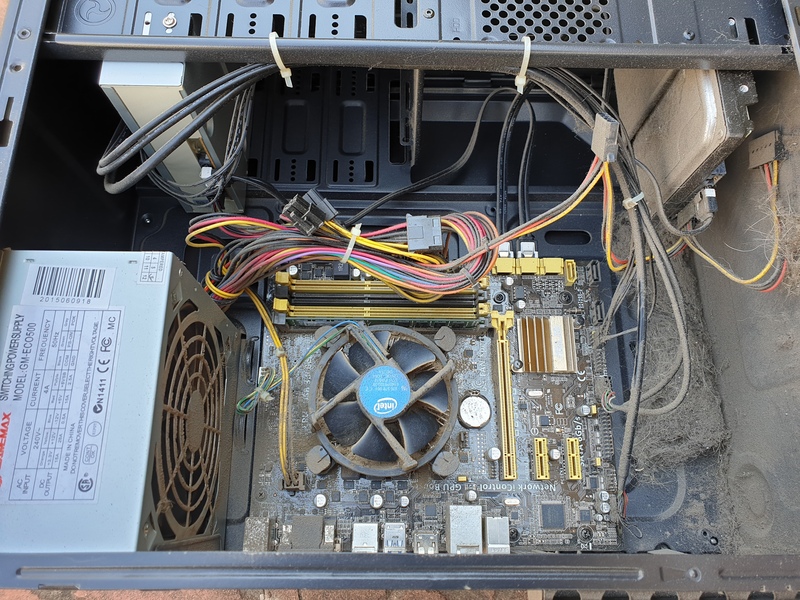 Having Rigo from Computer Maintenance available for repairs at a very competitive price, and sometimes the option for on-site (or at home) service, makes it highly desirable to do business with him. Everything is kept up to date and the very knowledge of his business can get what needs to be done. Rigo can help with every step to step detail, depending on what you need. We highly recommend Computer Maintenance for any PC repair issues you may have! I got very good service and help from Rigo. Computer Maintenance & support Services is very professional and I highly recommend anyone who needs personal and honest service to contact them. You will be pleased with the service, computer or anything else. We have dealt with Rigo for a number of years now both with our business and personally. From that first phone call to the prompt follow up, nothing is too much for Rigo. I highly appreciate his professionalism and promptness with our work computers and I thank him for his patience when explaining things to a non IT person :) Highly recommend ! Rigo has been providing his technical support service and maintenance to computers for my family for around 7 years. My husband always relied on Rigo's help when he was in trouble with his computer. After my husband passed away, my family always ask for Rigo's help. Whenever my son and I have any trouble with our computers, he is always able to fix them up immediately. Our initial introduction to Rigo & CMSS was an SOS call from our Company that required urgent assistance. Rigo was on the doorstep within 2 hours and was able to provide solutions and options for our business moving forward. Rigo has supported our business every step of the way, until we are now up and running. He is very polite, professional & informative and is always contactable to answer any questions or queries. Rigo obviously knows his trade and enjoys what he does, he has been a “valuable person/business” to add to our network. Great person very easy to deal and excellent work ethic... great Service. Rigo is so polite and friendly, and his work is amazing! i got my laptop back the day after i dropped it off to get fixed! fast and reliable, Rigo has done such a great job! He tried for TWO whole days doing all sorts of technical gimmickry, but could not detect the issue/s, and therein after wasting a lot of resources of mine I was left at "Square-One". That was when I called in the "Miracle-worker" in Rigo to come and help me out. His invoice was very reasonable considering the fact that he had installed a "Power-Supply" and Updated the Bios on the Motherboard with one whole day's of labour.